One of the most recent fashionable trends of Hollywood is the so-called "fitness astrology". 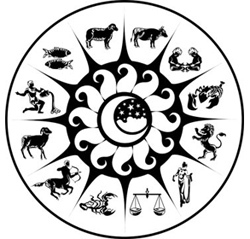 This is a carefully planned program of your activities based on your personal horoscope. It all started with the fact that a few years ago, Uma Thurman specifically for filming the "Batman" movie had to seriously work on her figure. According to the scenario she had to squeeze her body into the green rubber suit of her character - the Poison Ivy. And it became perfectly possible thanks to her new fitness program. In search of a cosmic figure she turned to the Siri Dharma Galliano, who lives in Los Angeles. Siri is a popular celebrity fitness trainer, but, in addition, she is famous for her exceptional astrological knowledge. Siri is quite sure - there is a need to consider the personal horoscope in drawing up an individual fitness program. In her opinion, sports are effective only if they comply with the sign of the Zodiac. According to the horoscopes of celebrities, she had already picked up the personal fitness programs for Sharon Stone, Daryl Hannah and Jessica Lange. For Uma Thurman Siri Galliano advised to try Pilates. Her choice she explains with the fact, that the Taurus, an Earth sign, must constantly feel their relationship with the soil. For them it is better to have classes in the closed gym and to keep it in the certain - not very fast - rhythm. Pilates - is a program, that includes the power stretching, which requires concentration. This program is quite tough, toning and firming. Pilates can be practiced in a room on the rug, but it is also possible to do it in the fresh air on the ground - that it is preferable to Uma. "In addition, it is a very clearly built program, that requires a constant focus, which helps Uma to be mentally grounded" - said Galliano. As for Sharon Stone, as it turns out, active cardio training is a perfect choice. "Sharon was born under the sign of Pisces. Her element is Water. This means that Sharon's body has a plenty of fluids. Generally, in a woman's body there may be up to two liters of water. And to get rid of the excess fluid, it is necessary to sweat. So, I picked for Sharon a daily training with cardio "- Galliano is willingly sharing her theory of astrologically correct trainings. Fitness - program for the Air signs: Libra, Aquarius, Gemini. Even during the most active sports you keep your head working, so you need a variety. And not to lose the spirit of sports, you will require the frequent training. The ideal mode - four times a week. This will help you to maintain a great shape, and also to relieve stress. You're full of life and you want to get everything possible out of everything you do. As you have so much energy, you can exercise at least five times a week. You have a dreamy nature, you're more likely to prefer massage, not fitness. But you have to force yourself to move, because your body tends to retain water (your "water" nature is expressing itself this way). You are strong, as the earth itself, and this means that you can handle almost any kind of sports. You are restraint and calm, so you need to plan everything in advance.